The soulbound is a wildly ambitious new class for 5th Edition that allows for unprecedented customization. Soulbound are individuals who've come into contact with a cursed artifact that's merged with them, irrevocably altering their physiology and psyche to form a new entity that's not altogether humanoid. 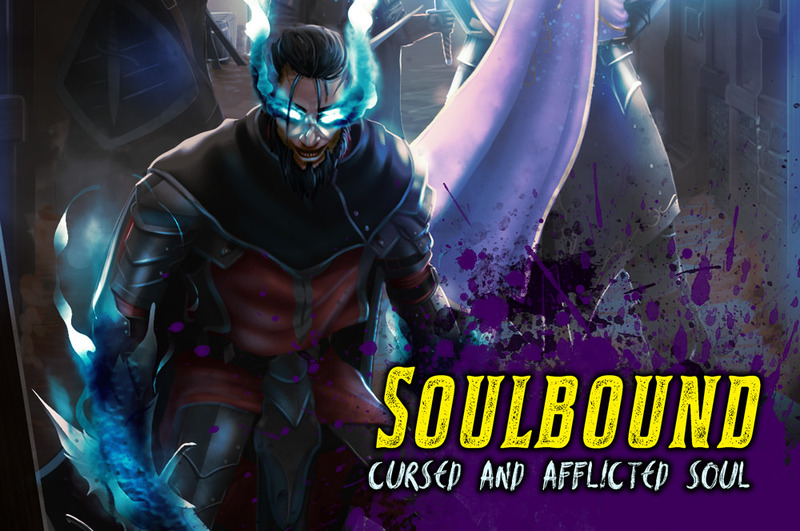 When creating a soulbound, the player picks two different subtypes that relate to a) the nature and origin of their cursed artifact, and b) its type and function when manifested for use in combat. Each of these two key decisions has a massive impact on the starting features of a soulbound and its progression throughout the game. Moreover, when creating a soulbound, the player has unparalleled opportunity to invoke their own creativity and define for themselves the feel and flavor of how their cursed artifact manifests. This iteration of the soulbound, Version 1.0, provides 5 Artifact Origins and 5 Artifact Types–allowing for 25 vastly different permutations of the class from a mechanical standpoint, whilst also allowing for unlimited roleplaying opportunities. We've worked extremely hard on making the soulbound the best that it can be. However, there's always room for improvement and this goes doubly for class and player options in general, where unexpected synergies and exploits are always possible. If you notice anything about the soulbound that you feel was unintentional, has been overlooked, relates to balancing, or affects your enjoyment of the class - please don't hesitate to get in touch with us at feedback@deepdark-designs.co.uk, or else leave a comment here, and we'll get back to you ASAP. Also, have you checked out our other original 5th Edition class, the Slayer?